Kaplan with an East Montpelier voter. This summer, he took a big step towards that day. Kaplan put his name on the ballot for state representative, becoming the youngest person in state history to run. He spent the summer trying to convince the people of East Montpelier to vote for him. A lot of Kaplan’s political platform was based around those “first languages.” One of his main focuses would have been dealing with the “brain drain,” a problem facing the state today. 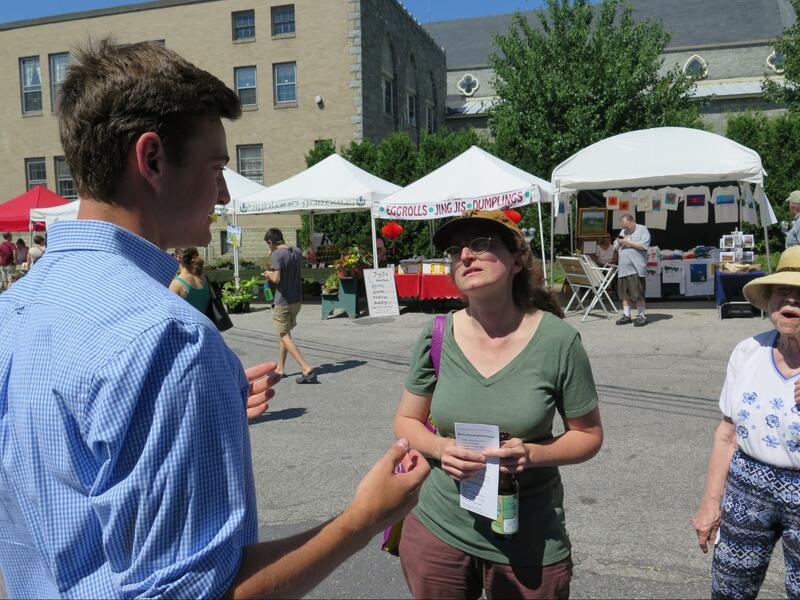 Kaplan campaigns at the Montpelier farmer’s market. 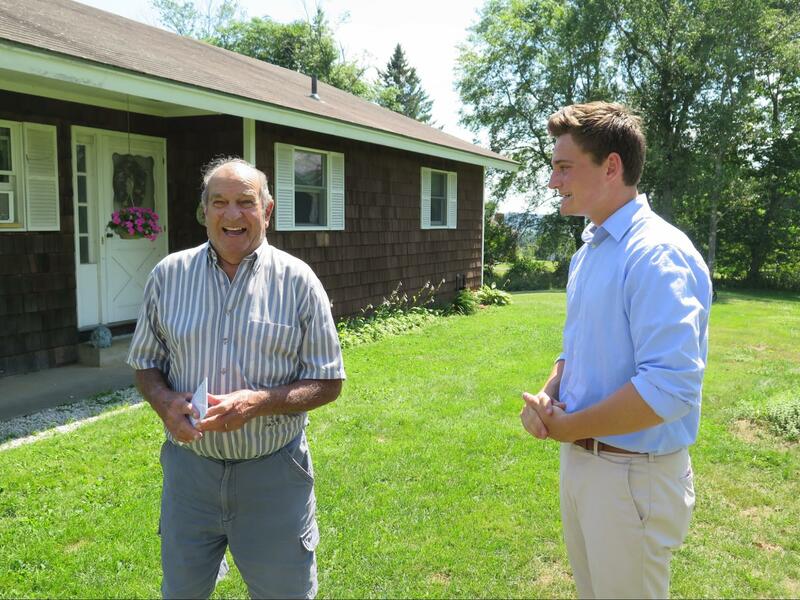 As Kaplan went door to door in the towns of East Montpelier and Middlesex – which share a state rep seat – he received generally positive feedback. At each door, he asked the voters what issues mattered the most to them. Green energy was one of the most common answers. The front page of Kaplan’s brochure advertises his support of green energy initiatives, which those voters were happy to see. 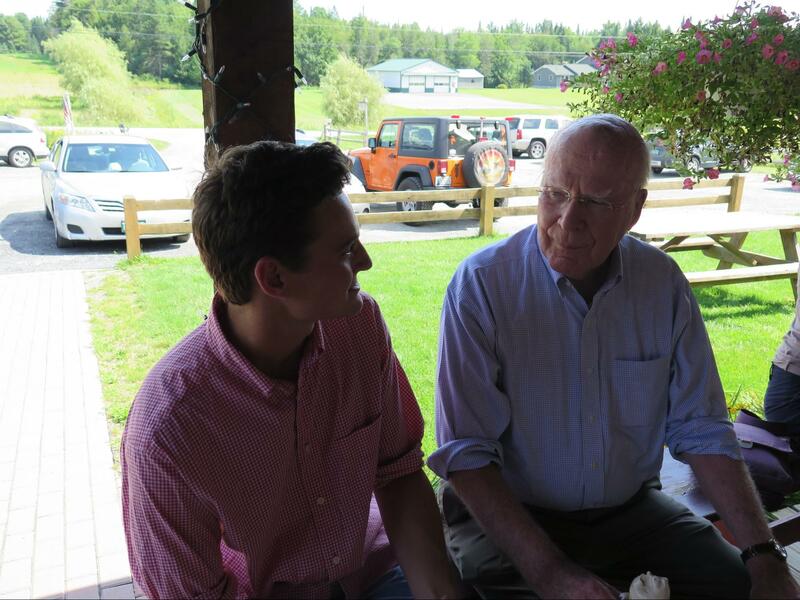 Senator Patrick Leahy talks with Ben Kaplan at Bragg Farm.